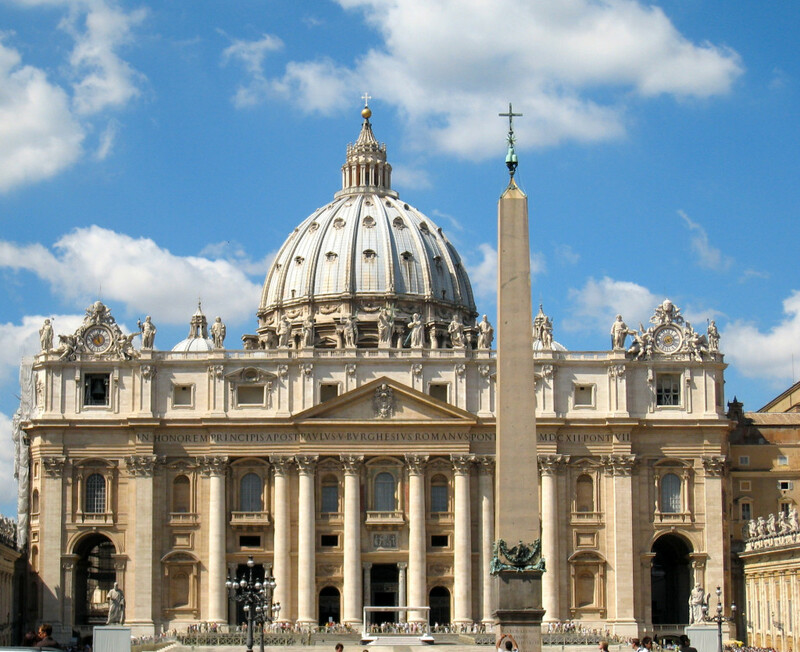 The current St. Peter’s Basilica is one of the most beautiful churches in the whole world. With parts of it designed by such greats as Michelangelo and Bernini, it was was built over a 120 year period in the 16th and 17th centuries and remains the largest church in the world. But it was not the first St. Peter’s Basilica. 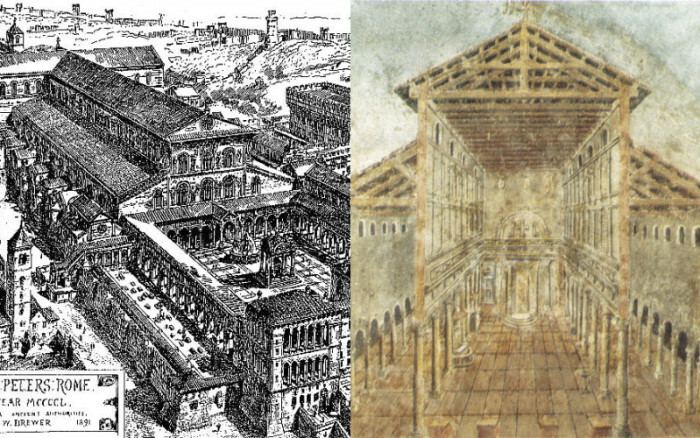 Before the current St. Peter’s Basilica there was another church in roughly the same location with the same name, now often referred to as the Old St. Peter’s Basilica. 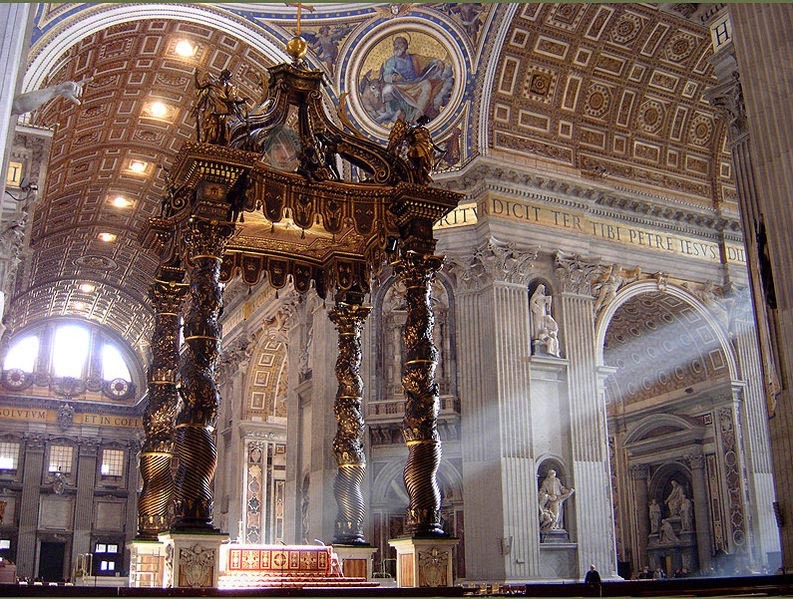 The Old St. Peter’s Basilica was truly a wonder and treasure of the church. 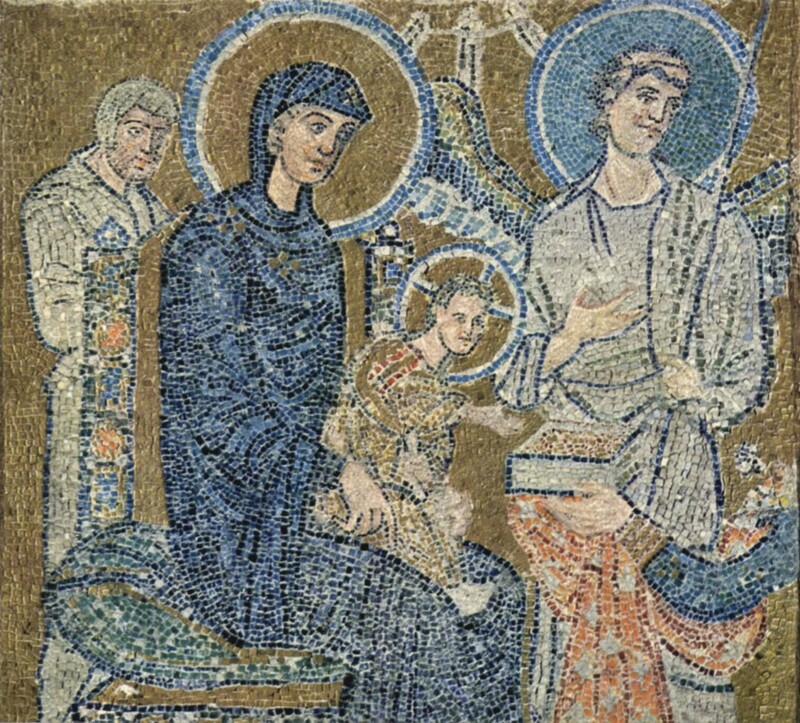 Commissioned by Emperor Constantine in the early 4th century, it served the church for nearly 1200 years. 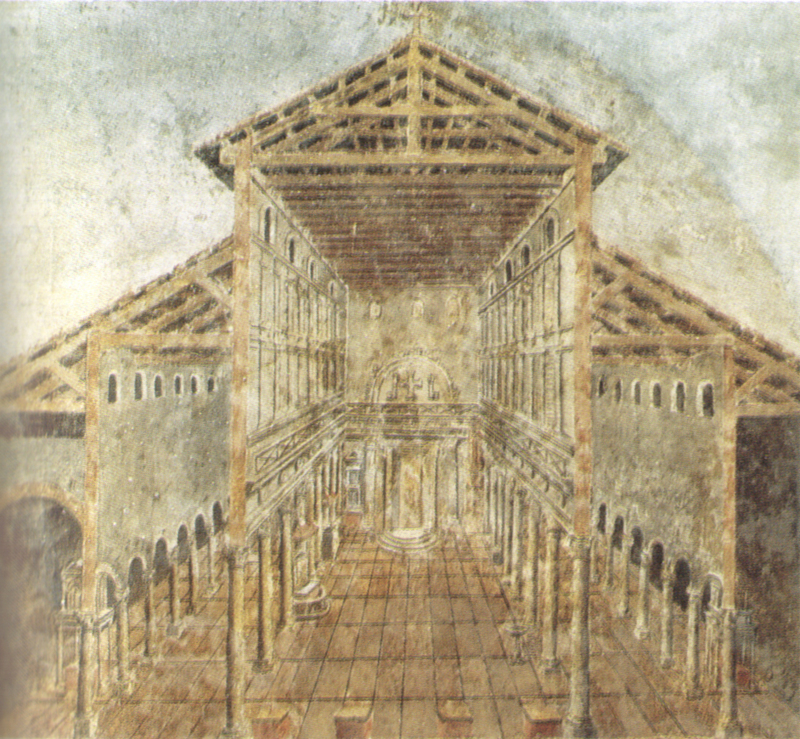 Its altar was built atop what was believed to be the tomb of St. Peter, and its footprint overlapped with the old Circus of Nero – the site of St. Peter’s martyrdom. 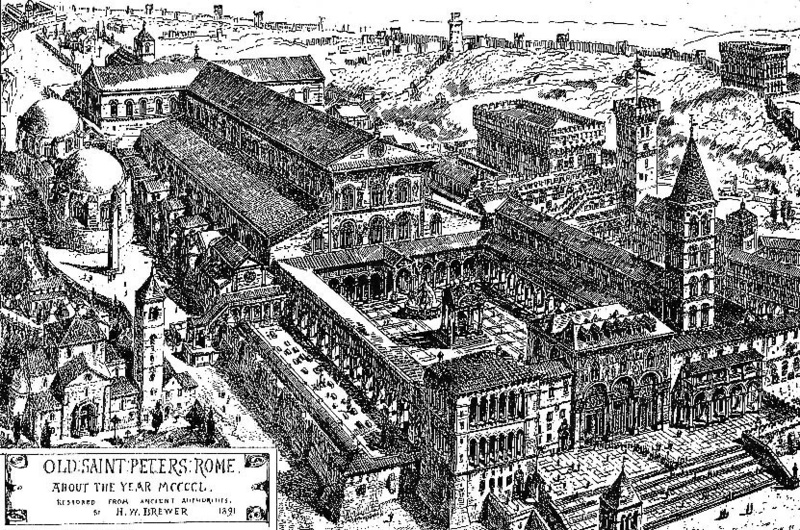 The Circus of Nero is on the bottom, Old St. Peter’s Basilica is bolded and off to the right, and the current St. Peter’s Basilica is shown with dotted lines and is off to the left. 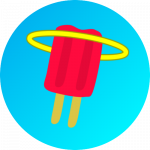 The small cross next to the obelisk in the center of the Circus of Nero is believed to have been the location of St. Peter’s martyrdom. 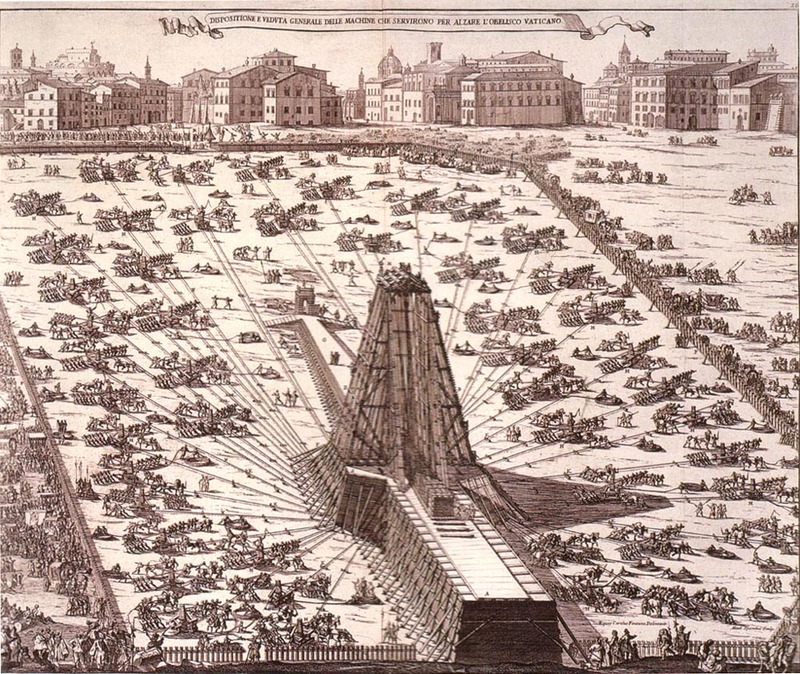 That obelisk – believed to have been present in the Circus of Nero when St. Peter was martyred and perhaps one of the last things he saw – is the same one that now stands in the center of St. Peter’s square; it was moved to its current location in 1586 during the construction of the new St. Peter’s Basilica. As you can see, it was quite the project! So what happened to it? Why isn’t it still standing? 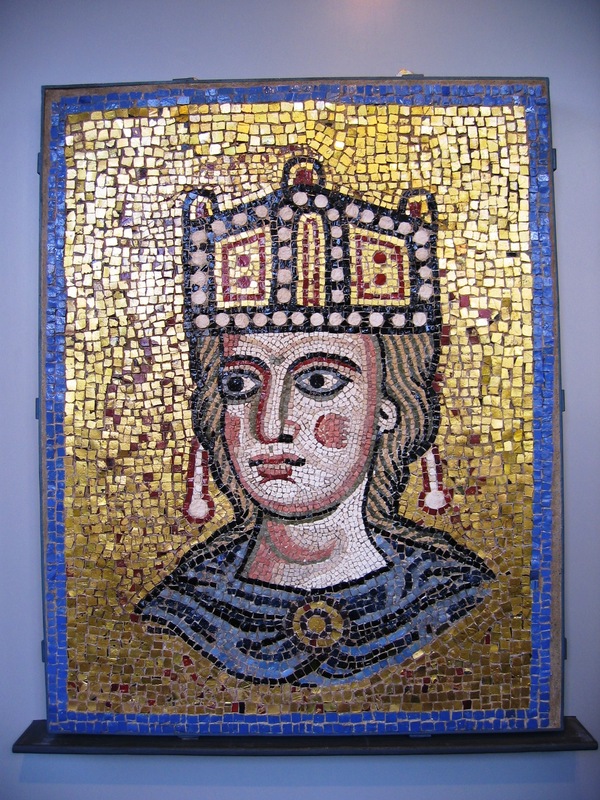 Various popes attempted repairs and entertained plans for a significant preservation project. But Pope Julius II (pope 1503-1513) eventually decided to simply tear it all down and build a new basilica in its place. For many, the idea was shocking, given the building’s age and importance in the history of the Church. 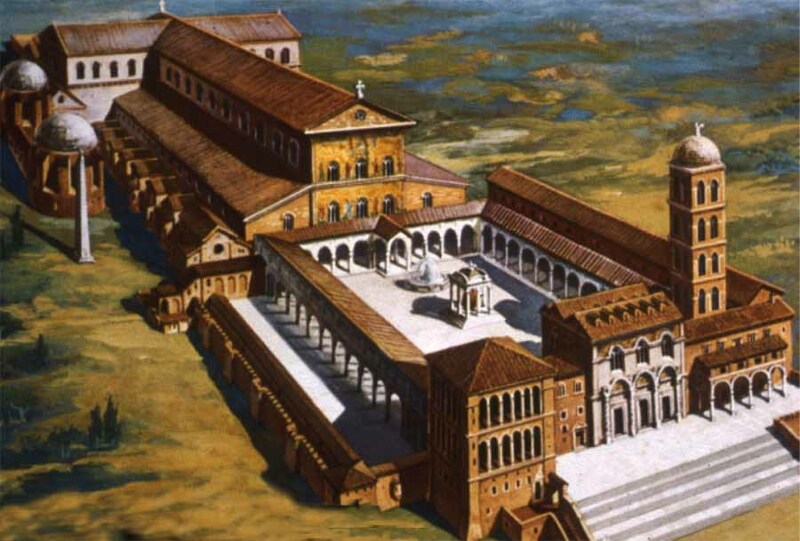 Nonetheless, Pope Julius II gathered the best architects of the day and had them draw up plans to make the new basilica the largest, most beautiful church the world had ever seen. The whole building was torn down; only its altar and a few works of art were saved. A few of the things that were saved were the Solomonic columns used around the original altar. The columns got their name because they were brought to Rome by Constantine from Israel and were believed to have been from the Temple Solomon (though they may simply been from an Eastern church). 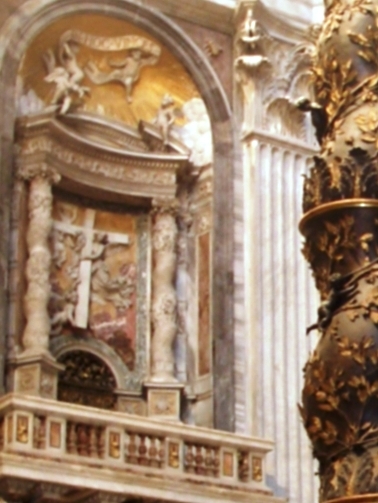 The current columns of St. Peter’s Baldachin were inspired in part by the old Solomonic columns. What do you think? Would you have kept the old basilica? Or are you happy the new one was built the way it was?